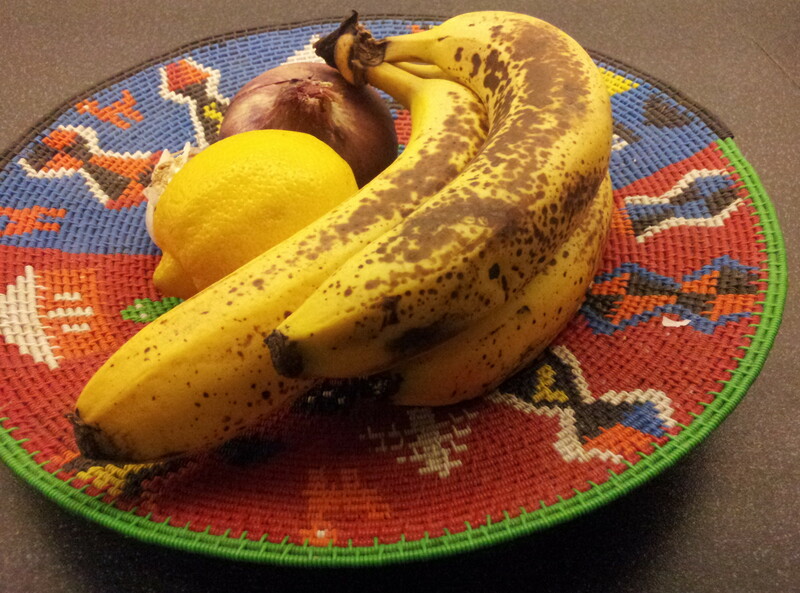 Three rather over ripe bananas lie in the fruit bowl filling the kitchen with that sickly sweet, distinctive smell. My kitchen is the only part of the flat which is still intact and which hasn’t yet been unpacked, sorted out and boxed up. Well not all of it is boxed up yet, but we’re getting there slowly. After months of waiting we are finally on the eve of moving out of our rented Victorian flat, and into our very first owned home. A space we can call ours – a space where we can hammer nails into the wall without the landlord’s permission if we want to. It’s a strange feeling. I thought I would be far more excited – but the process has been so drawn out that my excitement seems to have been stretched and pegged out between the weeks where we signed the contracts, paid the deposit, exchanged the contracts and finally paid the stamp duty. And now we are on the brink of receiving the keys and it just seems unreal. I’m sure once we’re standing in that empty flat tomorrow it will be different and the realisation that we have finally been able to climb onto the first rung of the property ladder will sink in and the excitement will snap back spill over. I suppose the other reason I feel somewhat apprehensive about a new flat is that it needs a lot of work. It is a magnificent example of post war architecture designed by Eric Lyons, built in the late 1950’s, and really hasn’t been updated since then. The little old lady who owned the flat before us lived there for decades and to a large extent it still has most of its original features. 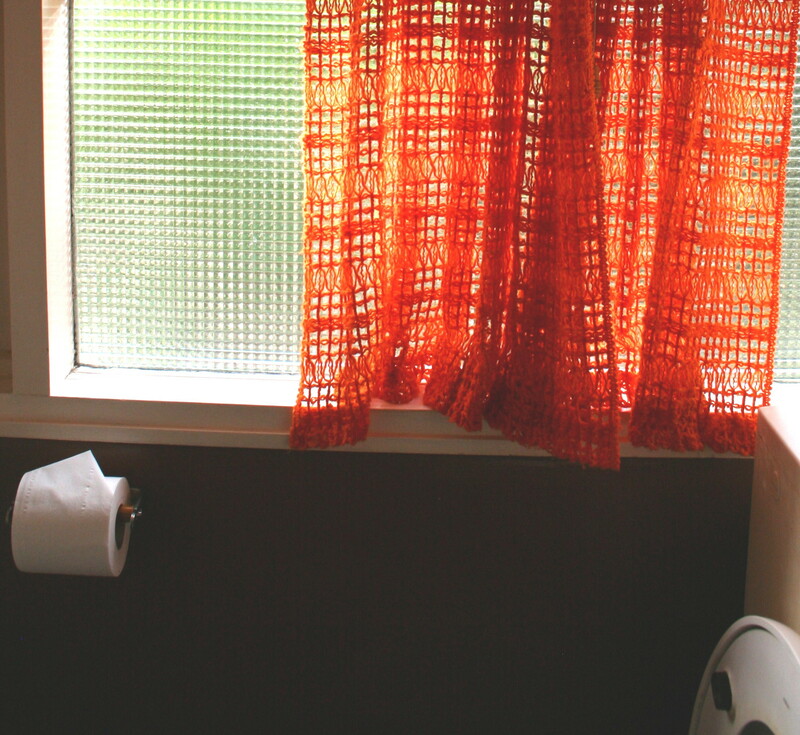 Gaudy, red floral carpets, wood paneling in the bedroom and even crocheted orange curtains in the bathroom. 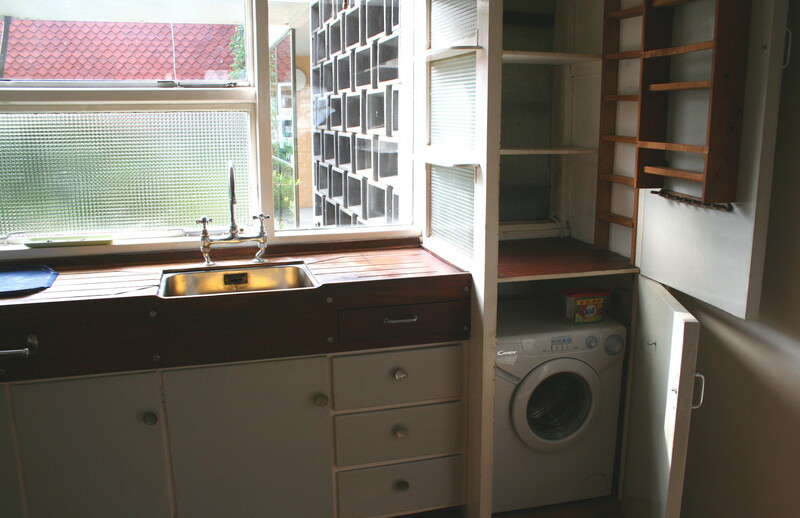 The kitchen sink unit, complete with wooden draining board and original pantry cupboard I have completely fallen in love with. However that is the extent of the kitchen. No stove. No fridge. Hardly any cupboards. And the most disgusting, disintegrating linoleum floor. The prospect of being able to design and fit the kitchen I want is beyond my wildest dreams. Choosing a stove according to what I want. But it means that we will live without one for at least a few months. Cooking is such a big part of me that I’m not really sure how this will work out for me – or this blog. But my other half assures me we’ll fine with a microwave, electric steamer and hot plate very kindly lent to us by friends. 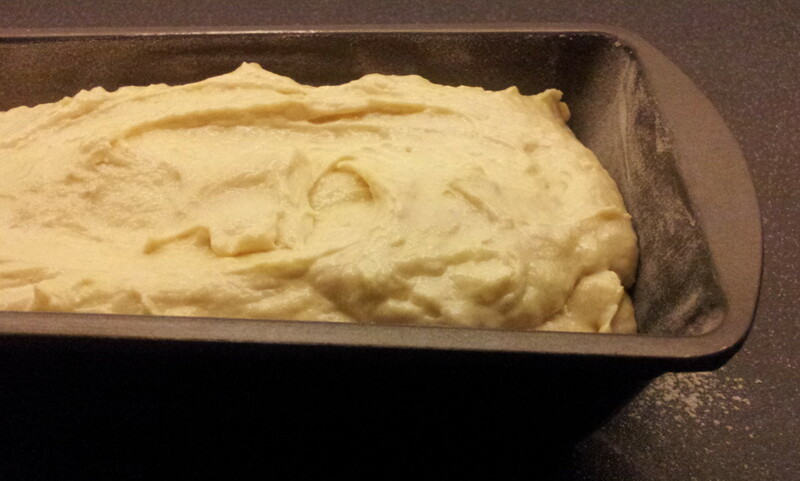 Baking however, will be off the cards. My mind has already gone into overdrive dreaming up things I can steam instead of bake – so watch out for possibly some dim sum in the near future. And so, somewhat nostalgically, and somewhat ritualistically, I carefully lift the squishy bananas out of the fruit bowl and begin mashing them to bake for what might be the last time in months. It’s a banana bread I’ve made for decades and is quick, and easy to make – even when everything else is in chaos and I should be packing boxes instead of baking. Grease a loaf tin with butter and dust with flour. Preheat the oven to 180°C (160°C in a fan oven). 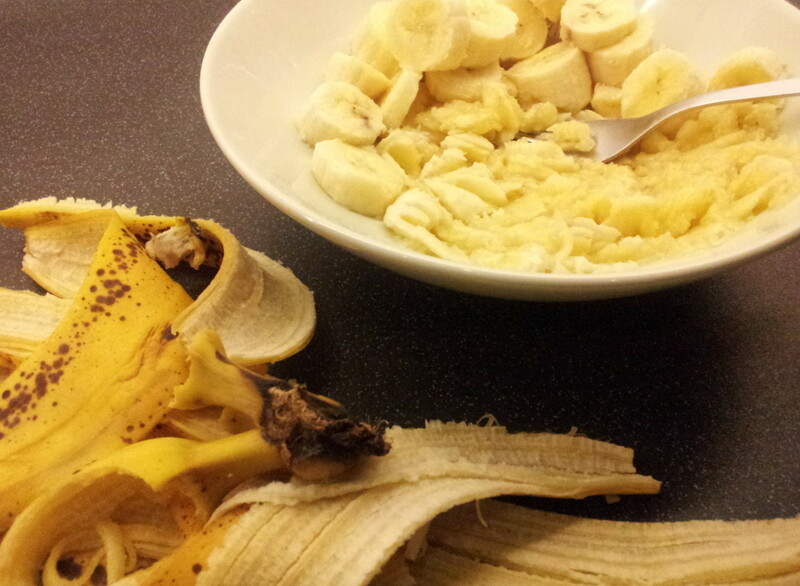 Peel the bananas and mash in a bowl with a fork. Cream the butter and sugar until pale and fluffy. Add the mashed banana and combine well. 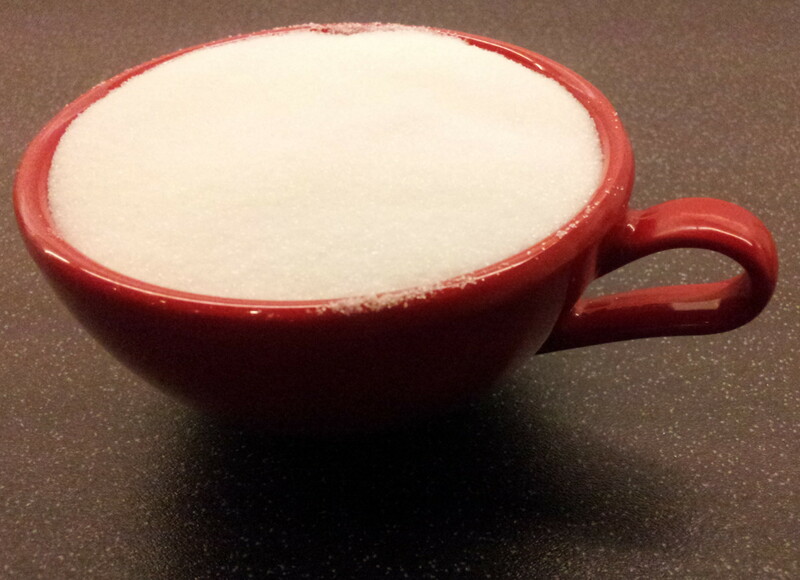 Sift in the flour, bicarbonate of soda, baking powder and salt and start combining. When the mixture starts to become stiff and dry add the milk and continue mixing until fully combined. Pour the mixture into the baking tin and bake on the middle shelf for 50-60 mins until t is golden brown and a knife inserted into the bread comes out clean. This entry was posted on Wednesday, August 8th, 2012 at 22:56	and tagged with banana, banana bread, loaf and posted in fruit, loaf. You can follow any responses to this entry through the RSS 2.0 feed. But dear lord woman – never say the words “I have been baking for decades” until you are at least 50! Hahahaha… it is true though! 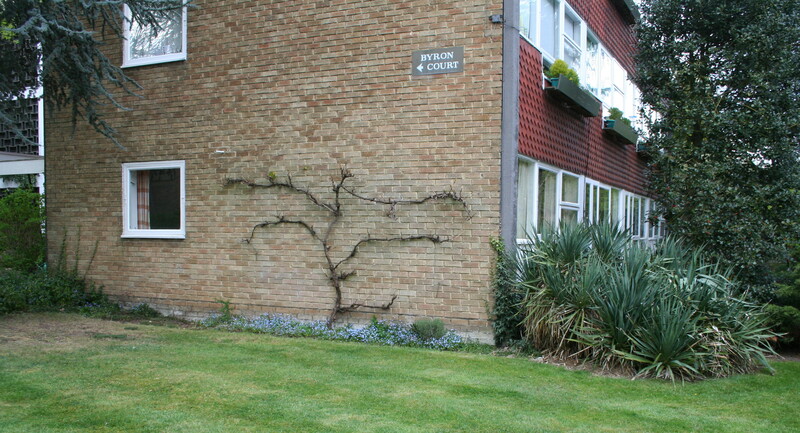 Bought this flat. That is super exciting. Once you have settled in you will need to post some photos. I can’t wait! Perhaps there’ll even be a blog about how to bake in a microwave now that I’ve found the instruction manual! I made this last weekend and WOW! Lol my one friend always used to moan cos I’d normally just buy banana loaf at the Spar (and he drowns it in custard). This time, he couldn’t stop eating – never mind the custard. He did put some butter on though. He even asked me for the recipe. Oh, and he told me to hide it away from the others so he could take the rest home. Wanted to make again today, but somebody got to the bananas before I could bake. Sooo, I settled for quick and easy shortbread (3 ingredient recipe from Shanthini’s family) that I’m taking to a friend’s baby shower. 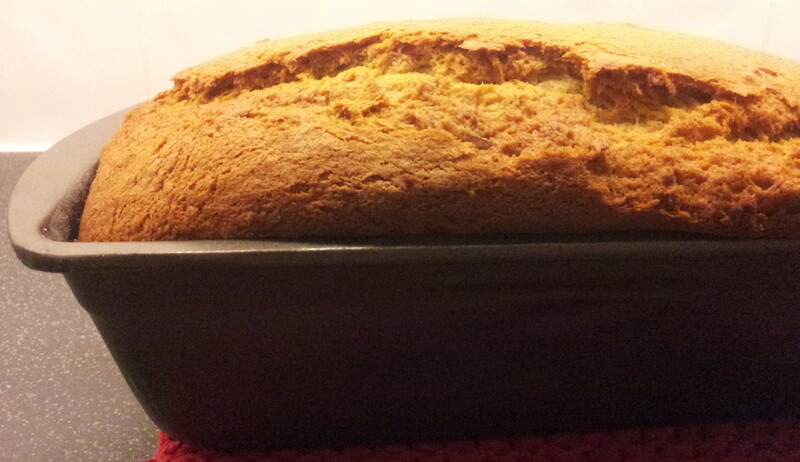 Will make banana loaf if I get nice bananas in the morning.